For drivers that require 30% more airflow* and a lifetime, washable air filter** but without an increase in intake sound, Pipercross Air filters provide the perfect solution. 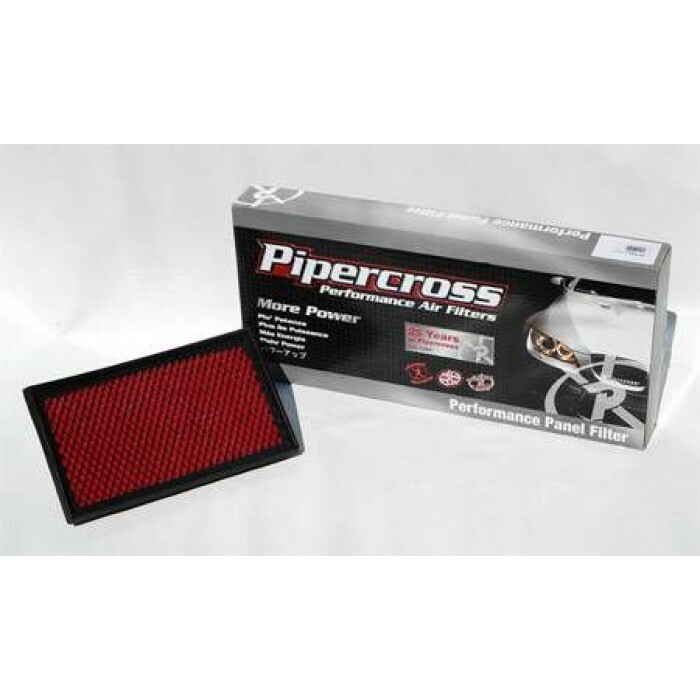 Designed as an original equipment replacement, Pipercross Air filters replaces the factory air filter within the airbox. Installation is as simple as opening the airbox, discarding the old filter and replacing it with a free-flowing Pipercross Air filters. As airborn dirt particles are trapped by a paper or cotton-gauze air filter, there is a dramatic increase in pressure drop which essentially robs the engine of airflow and power. Due to the deep foam construction of Pipercross Air filters, airflow is able to negotiate trapped dirt. Air filter service intervals are extended with the Pipercross panel filter, with a lifespan (between cleaning) of double that of the same paper filter and nearly three times that of a cotton-gauze filter. By simply cleaning and refitting the Pipercross panel filter, there is less waste and service costs are reduced.